Nicky Romero’s label Protocol Recordings had quite a productive 2017. The Dutch record label released crowd favorites such as Dr. Shiver’s “Something” featuring Kazi, Sunstars’ “Ghetto Funk“, Sam Void’s “On My Mind“, and Corey James’ “Bring It“. 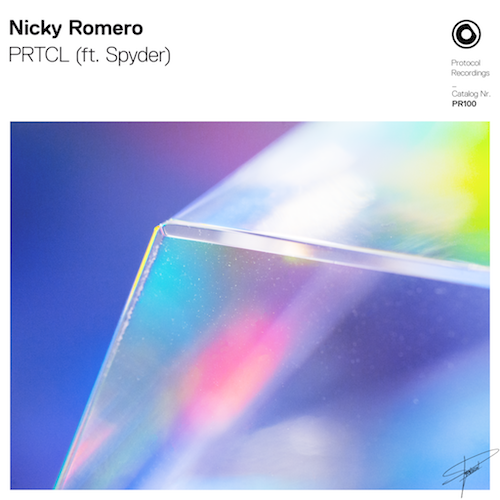 After being founded in 2012, Protocol is now celebrating its 100th release with a bouncy house tune by Romero fittingly called “PRTCL” featuring Spyder. Nick Rotteveel premiered the tune a few weeks ago during his 2017 Year Mix on Protocol Radio 281. The song has been played by Dannic, W&W, Martin Garrix, Sander van Doorn, R3hab, and Promise Land.